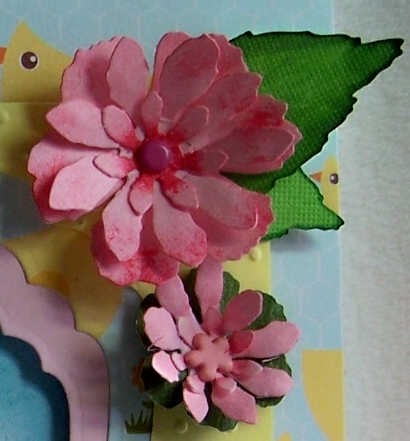 It's a 12 inch strip die with lots of flower shapes and some leaves. Designer paper is Jillibean, Southern Chicken Dumpling Soup. Each petal has a hole in it for using a brad to put them together. Another shape that is included in the die. It's nice to have this die on hand for when you want flowers. 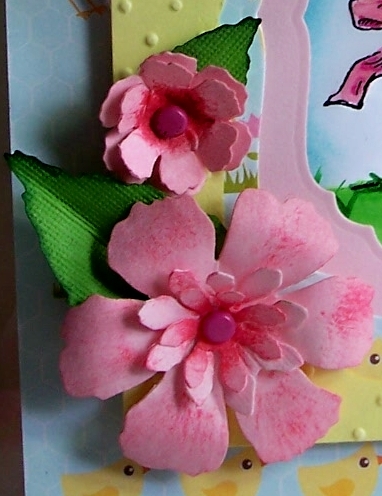 You have created a sweet, vintage Easter card Sue. Lovely flowers! oooo what a lovely and sweet easter card sue. This is just darling! I can almost hear the little fuzz ball peep peeping! This is just darling! I love all the details you put on this,your flowers are amazing! It is just adorable! Awwww, it's too tweet for words!!! The flowers you've made are beautiful and I love the way you've created a frame for that cute little chickie!! Very nice!! Darling image and your flowers are very pretty! 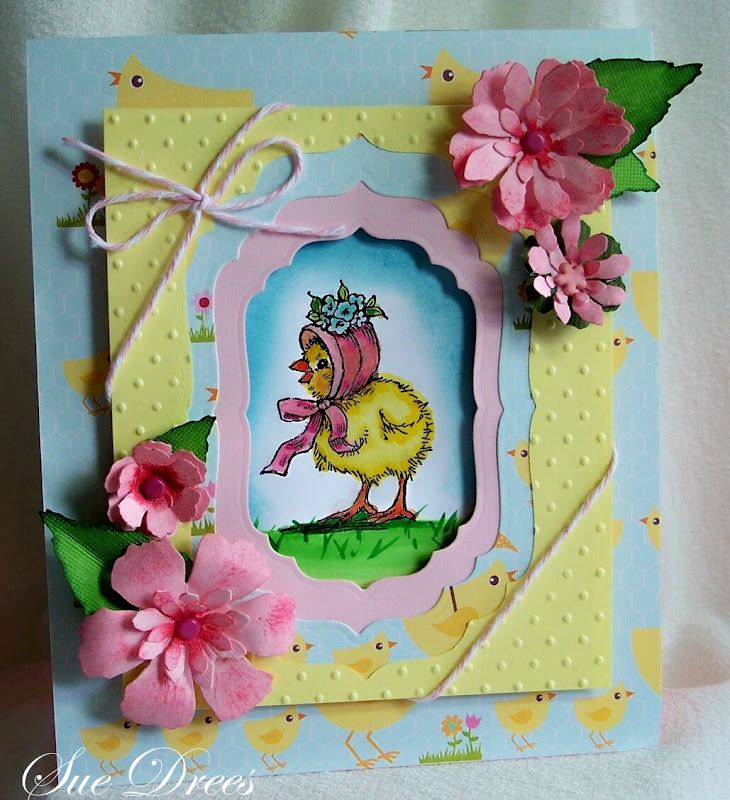 This card reminds me of an Easter bonnet - so pretty!! !